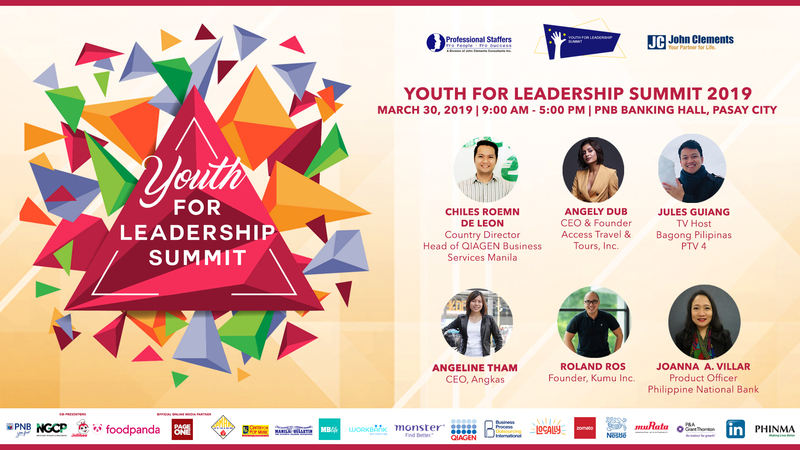 The 5th Youth for Leadership Summit with a theme of “Unleash and Empower: The potential of tomorrow’s leaders” will once again take the stage this March 30, 2019 at the PNB Banking Hall, Pasay City. Similar to the Y4LS 2018 in Cebu last year, attendees can expect student leader delegates from top tier colleges and universities in the Philippines, high-profile speakers and industry experts who will impart global insights on relevant topics from years of experience in the industry. Distinguished speakers such as Angely Dub, CEO and Founder of Access Travel and Tours, Inc., Jules Guiang, TV Host of Bagong Pilipinas (PTV4), Michelle Garcia, Vice President of People TaskUs, and Chiles Roemn De Leon, Country Director Head of QIAGEN Business Services Manila will be sharing their expertise. Hosting the event will be Ria Fernandez, Multimedia Reporter from Manila Bulletin. This year’s summit will be the biggest event of John Clements with over a thousand attendees as compared to the 300 attendees last year. The last Y4LS 2018 tackled about Leadership in the Digital Age, Get Upgrade Yourself and Involved, and Get Better, attendees can expect a whole new lineup for this year: Leadership, Career Trend, Social Media Impact, Financial Management and Driving Force in Investing in Talents and Technology. The event is sponsored by 13 big business such as Jollibee, PNB, Nutriasia, Manila Bulletin, with PageOne as the official online media partner of the summit.